The new TV season is officially upon us! Now, at the beginning of the year, the Canadian TV companies officially converted everything over to digital, so I’ve basically been without cable all year. No cable meant me watching everything online, after the fact. Also, with my busy schedule that’s going to keep on for some time, I don’t have the time that I used to to watch everything. So basically with this new TV season, I am trying to be super picky about what shows I’m devoting my time to. So what returning shows am I still sticking with this fall? And which new shows are on my list to check out? Despite Supergirl‘s move to the CW, my Monday nights stay firmly in tact. 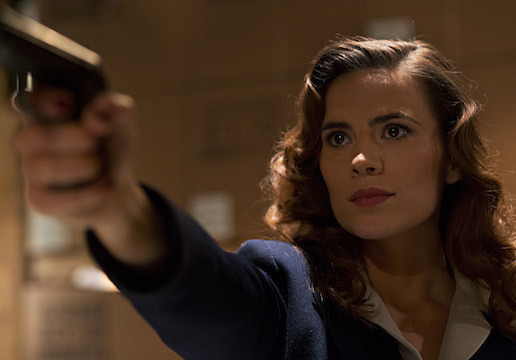 Hayley Atwell’s American accent might take some getting used to, but I’m all in for Conviction. I also intend on watching DWTS, but that’s been relegated to YouTube video status – I don’t have the time to watch the full telecast. Tuesdays, still full. I’m not so sure how much I’ll like No Tomorrow or This Is Us, but I’m very much willing to give it a chance. Everything else is just returning shows. How did Wednesdays become so full? I feel like I say that all the time, but it’s still true. Salem‘s not back until November, and You’re the Worst might be done by then, but I’m still not incredibly happy that Salem is adding to my Wednesday load. 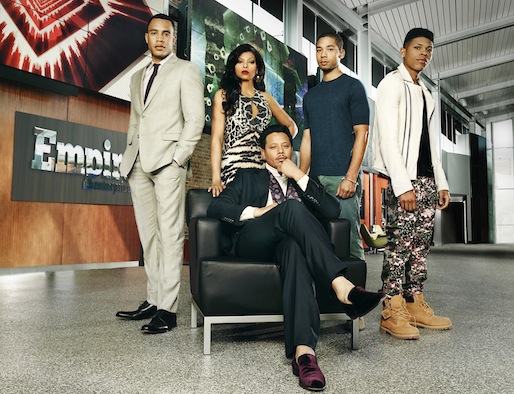 Season 2 of Empire was not great, so it’s on my list for now, in hopes that it gets back to what made it great in S1. Not sure about Speechless or Frequency, but willing to give it a shot. Pitch and The Good Place look really good. Haven’t heard great things about Notorious, but for Piper Perabo and Daniel Sunjata, I’m giving it a chance. Legends of Tomorrow was off and on for me last season; I’m hoping it gets into a consistent creative flow in S2. As for How to Get Away With Murder? I feel like it went off the rails in S2, that I’m not even entirely sure I want to watch S3. If the first episode gives me a compelling reason to watch, then I’ll stick to it; otherwise, it’s getting the axe from me. Ummm, with the final season of Grimm being relegated to midseason, I’ve got nothing. Catch-up day it is. Quantico started off so well, and yet somewhere along the way, it became a soap opera mess. I desperately want it to do better in S2, but if it becomes ridiculous, it’s getting cut too. I don’t know much about Westworld, though it does look interesting, so give it a chance I will. Starting off the season with 28 shows. How many will stay on my watch list by midseason? I guess we’ll just wait and see. It’s November, which means we’re in the special TV time known as Sweeps. In today’s day and age, there’s an increasing number of people who don’t watch TV shows the traditional way, live and actually on the TV; a lot of people DVR their shows or watch through various means (legal or otherwise) online. That being said, Nielsen ratings, as outdated as they are, still hold a lot of value to networks and advertisers – which is why November sweeps (along with sweeps periods in February and May) becomes sort of a battle ground for the networks. Sweeps somehow gauges what people are really watching, especially since a lot of shows and networks touting “big” episodes that you “must watch live.” Regardless, it’s a good time as any to check-in on the new batch of shows that premiered this season. SELFIE [Cancelled]: The show follows in the footsteps of many horribly titled shows that came before it, commonly known as the Cougar Town effect, in which the show is much more than what the title implies. It’s like a modern-day retelling of My Fair Lady, that has had some really funny moments, in spite of some of the issues it faced in the first couple of episodes. If anything really, I quite enjoy the dynamic between Karen Gillan and John Cho, and the show has been fleshing out all the characters beyond just Gillan’s Eliza and Cho’s Henry. I’m really bummed to see that ABC cancelled it so soon, when it has started to find its footing. MANHATTAN LOVE STORY [Cancelled]: The first casualty of the season was this odd attempt at a rom-com. The only surprising thing about the cancellation was that the show lasted a month before ABC pulled the plug on it. I really wanted to like the show because I really like Analeigh Tipton (who really was the only good thing about the show) and Jake McDorman (who somehow ended up being a greater jackass version of his Greek character). There just wasn’t anything good about it. FOREVER [Full Season Pick-Up]: An immortal medical examiner helps the police solve cases because he can REALLY see the details everyone else misses. I watched the pilot, and it’s not terrible by any means. In actuality, it has a slight charm to it that I’m gonna say is due to Ioan Gruffudd. At the end of the day though, it’s just not really my thing so I didn’t continue watching. BLACK-ISH [Full Season Pick-Up]: I know some people don’t like the title, but I think it’s funny and on the nose. 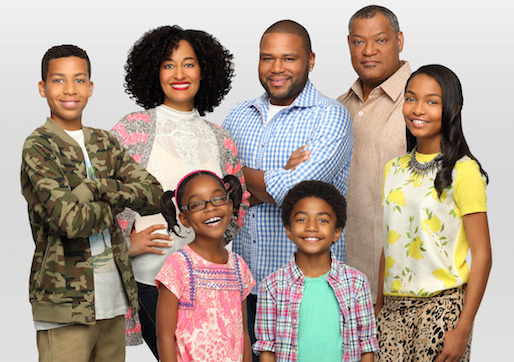 An African-American family, that according to the dad, has been “white-washed”, making them “black-ish” – you can’t get a more straight-forward title than that. It’s been quite funny and a joy to watch; has certainly proven to be a compatible lead-out of Modern Family. HOW TO GET AWAY WITH MURDER [Full Season Pick-Up]: Of note, the show is only executive produced by Shonda Rhimes, not created by her, but is part of a Shondaland Thursday that has proven to be a winner for ABC. Right from the pilot episode, it got me. Seeing the back and forth between present day and the flash-forward of the murder mystery is really interesting. Also, it doesn’t really need to be said but Viola Davis is a FORCE. AMAZING. My only concern with the show is how they’re going to keep all of this going. I feel like this is setting up to be first season Revenge, with the reveal of what led to the main murder around winter break, and then the rest of the season showing the fallout. So then what will subsequent seasons (if any) look like? For now though, I’ll take it as it is. CRISTELA: Honest, I haven’t watched it yet. I’ve heard it’s decent, ratings are so-so for a Friday, and that’s about it. SCORPION [Full Season Pick-Up]: A group of geniuses are tasked to help the FBI. A lot of people have called it the action procedural version of The Big Bang Theory with Katherine McPhee’s Paige being the Penny of the group. It’s a fun show to say the least and they have made an effort to give the characters more depth and not just stereotypes. Is it something I’m in a rush to see every week? No. But I don’t mind watching it from time to time. NCIS:NEW ORLEANS [Full Season Pick-Up]: I don’t watch the show so I really have nothing to say about it. But we all know the NCIS name is sort of a goldmine for CBS. 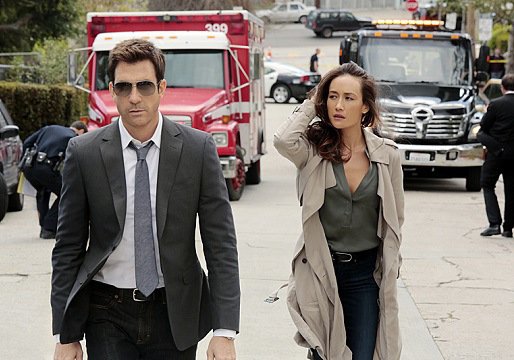 STALKER [Full Season Pick-Up]: I watch the show for Maggie Q. Some aspects of it (the sociological/psychological implications, the back-stories of Maggie Q’s Beth and Dylan McDermott’s Jack) are interesting to me, but I’m really not a big fan of the procedural aspect of it. Again though, watching it for Maggie – and maybe the cool alt-cover songs at the end of each episode. MADAM SECRETARY [Full Season Pick-Up]: I have no interest in the show. It just didn’t look like something I would be into. THE MCCARTHYS: The show got a late premiere so I haven’t gotten around to watching it yet. Even based on previews, I’m not entirely sure I want to watch it. THE FLASH [Full Season Pick-Up]: There were high hopes for Flash coming into the season. Seeds were planted within the Arrow universe, allowing it to spin-off on its own, and by all accounts it has succeeded. The pilot became CW’s most watched EVER, after all the DVR ratings/playbacks were accounted for. Greg Berlanti and Andrew Kreisberg have done an incredible job taking what they’ve learned as executive producers on Arrow and put it into Flash. Excuse the obvious pun, but they really hit the ground running – there hasn’t been much of a learning curve and that has allowed the show to be very fun and more lighthearted than its dark Arrow counterpart. That doesn’t mean the show isn’t without some minor issues, but for the most part, it’s been doing an incredibly good job. JANE THE VIRGIN [Full Season Pick-Up]: I was a little skeptical about the show at first, mainly due to the fact that I wasn’t sure what to expect. I quickly fell in love with the show after watching the pilot though; it was just so sure of itself from the get-go and knew what it was doing. Elements like the Telenovela speaker voice-over that you think wouldn’t work, somehow does. Anchored by Gina Rodriguez’ performance as our titular Jane, the show is just bursting with charm, humour, and heart. GOTHAM [Full Season Pick-Up]: This was one of the high profile shows of the new season, looking at the city of Gotham before there ever was a Batman; it was the “Batman show without Batman,” a label that was a little unfairly thrust upon the show. It’s a prequel series that follows Detective Jim Gordon return to Gotham, as the city itself is slowly crumbling from the crime and immorality. Yes, the underlying story is how a young Bruce Wayne became the Batman we know, but that’s not the main focus. Instead we get a serialized procedural – case of the weeks tied into the bigger story of a mob war for control of the city. It has been a slow build (as expected from a new series) but it’s been very solid. My only concern is that the show is getting a full 22-episode season, which if I remember correctly, wasn’t the plan. Initially, it was supposed to be like Sleepy Hollow and get an (at most) 18 episodes; stretching the episode count runs the risk of them adding filler episodes that don’t do much for the plot. RED BAND SOCIETY: Some called it Glee meets The Breakfast Club, or Glee without the singing and set at a hospital. At the outset, it’s easy to make the Glee comparison (that is, first half of season 1 Glee) – these “outcasts” come together, in support of one another. I enjoy the show, but the first few episodes were obviously a process of learning to balance the teenage angst with the emotions involved with it being about kids in a hospital. While I disagree with some media outlets suggesting the show change focus to the doctors and nurses (led by the incredible Octavia Spencer, as well as Dave Annable), that would just make the show seem like Grey’s Anatomy-lite. It’s a tricky situation because realistically, not all the kids can “make it” and get a happy ending, but assuming the network gives it a chance, I really do think the writers can strike the right balance of teen and medical drama. GRACEPOINT: I actually never watched Broadchurch, the UK series in which Gracepoint is based on, so it’s not like I was avoiding it and its similarities (as far as I’ve heard). I just slowly came to the realization that straight up murder mysteries don’t work for me; I need something else to hook me in (like the dual narratives of Showtime’s The Affair). The show was always touted as a limited series, so in the case of ratings, it will only play a factor in whether the show sees a second season, not a back nine. MULANEY: I barely got through the first episode, and I don’t remember laughing at it once. There may have been a chuckle, but that was it. Chances of it surviving are slim. UTOPIA [Cancelled]: FOX’s social experiment of tasking a bunch of strangers to form their own society, and live there for a year – what could go wrong? Well, no one cared. It was meant to be on air for 2 nights a week, which then got cut to just one night (on Fridays), and then straight cancelled. Can’t blame FOX for trying something a little different but this sounded like a terrible idea from the beginning. MARRY ME: I LOVED Happy Endings, and will never get over the fact that it got cancelled. That being said, I’m pretty happy that David Caspe has created this new show, loosely based on his relationship with series star Casey Wilson. Wilson and Ken Marino are the central couple, but like Happy Endings, the show is more than just about the couple – it’s also about their relationship with their friends. Pretty much if you were a fan of Happy Endings, the witty jokes, pop culture references, physical comedy – it’s all there. THE MYSTERIES OF LAURA [Full Season Pick-Up]: I like Debra Messing and the show has Greg Berlanti (who somehow has the time to do ALL these projects, making everyone else look bad) as one of its executive producers, but something about it just didn’t appeal to me. I think the way the network sold the show to audiences – “She’s a mom AND a cop?! Whhhaaattt?” – just did not work for me. A TO Z [Cancelled]: Cristin Milioti and Ben Feldman starred in this cute little rom-com series that was to show their relationship from “a to z”/beginning to end. Unfortunately, we won’t get to see their relationship fully play out since NBC has decided to not give it a back nine, essentially cancelling it. I realize “cute” is a word I’m using a little too often in talking about a bunch of the shows, but sometimes that’s what you need. This show certainly put a smile on my face every episode, so I’m a little bummed that it won’t continue beyond the 13 episodes. BAD JUDGE [Cancelled]: Kate Walsh plays a tough judge, who doesn’t have the rest of her life together. The ads did not do anything to make it seem anything less than stupid, so I didn’t even bother checking it out. CONSTANTINE: It’s our third new DC show of the season, but this one got a bit of a later start than the rest. I’m enjoying thus far and it does have more of a supernatural feel to it than the dark grittiness of Gotham or the light superhero fun of Flash. But yeah, I’m liking it and it definitely makes for a fun creepy night of Friday TV paired with Grimm. What about some of the returning shows? Agents of SHIELD has been on a roll in its second season. The events that occurred in Captain America: The Winter Soldier was definitely a game-changer for the series, and at least for those who stuck around, it sort of made getting through the first half of season 1 worth it. It’s been nice to see them broadening the show’s scope and actually incorporating characters from the comics (ex. the addition of Adrianne Palicki’s Bobbi Morse aka Mockingbird). Knowing what we know now about the MCU slate for the next 6 years, one can’t help but wonder how/if the show will play an instrumental role in setting things up for the movies. Sleepy Hollow has continued to impress in its second season, despite ratings being less than last season. Some media outlets are saying that some things need to be “fixed” with the show, for which I disagree because that means there’s something that’s broken within the show. There are some aspects that could be worked on (let’s see Katrina show off her powerful witchery, get Irving out of the psych ward, and use Jenny more! ), but take it week-by-week and it’s still the fun crazy show we know and love. I’ve quite enjoyed the integration of Frozen into Once Upon A Time. I am however getting very annoyed by their constant use of the “Magic comes with a price” line, and the theme for this season (family and acceptance) is being layed on very thick. It’s been kind of hard to remember that Brooklyn Nine-Nine has moved to Sundays; I’m so used to Sunday nights of FOX to be strictly animation. That being said, there’s no sophomore slump here. Andre Braugher and his deadpan delivery is still the highlight of a very funny show. Still on the top of its game? Arrow. I haven’t watched Dancing With the Stars in full, live on TV for quite some time now, but I do still catch up with the performances afterwards. I don’t know if it’s because I’ve watched so much dance, but I’m not feeling it. Like some of the dances that are getting 10s, I’m like “Really? I wasn’t feeling it. I want MORE.” I think at this point, I just want to see professional dancing ALL THE TIME. And I really need them to get rid of contemporary and jazz (I will not stop complaining about this until it happens). With a packed Monday, The Voice has been relegated to an afterthought – meaning like DWTS, I just watch the performances afterwards. I still love the show, but I can’t commit to the full two hours, when I have other things to watch. Though I do LOVE the addition of Pharrell as a coach. So that’s my Fall TV check-in. What new shows did you check out this season? Any new favourites? Disappointments? Let me know! It’s officially September, which means regular TV will be coming back soon! Don’t get me wrong, summer TV has been good. My returning faves – So You Think You Can Dance, Suits, Covert Affairs, Graceland, Witches of East End – were still great to watch and got me through the summer. I tried watching some new shows – a couple I like but not love (Outlander, Legends) and a couple that didn’t stick for me (The Strain, Extant, The Leftovers). And then there was True Blood (the less said about it, the better). Point is, I am REALLY excited that all my other shows are coming back and some potentially new favourites are premiering soon! Sundays used to be a packed night for me, but after deciding to drop both Revenge and Homeland this season, plus The Amazing Race moving to Fridays, tonight became a lot lighter. My plan is to watch Gotham and Sleepy Hollow live but realistically, knowing that I’ll be at home having dinner with my family, it’s gonna end up being The Voice with DWTS in between commercials, and watch everything else after. Can we just talk for a second how Allison Holker (one of my favorite dancers, not just from SYTYCD but, ever) is one of the pros on DWTS this season?! AND that Julianne Hough is back, but this time as a permanent 4th judge? The Big Bang Theory is on Mondays for a little while until Thursday Night Football (how many nights of football are there?!) is over, and then it’ll move back to Thursdays. Of all the new shows tonight, the only one I’m on the fence about is Manhattan Love Story. I like the two leads, Analeigh Tipton and Jake Dorman, but I’m reserving a wait and see approach. I know I’ll like Marry Me (from David Caspe who created Happy Endings? YES) and have already seen the Selfie pilot, which looks promising. Super excited for The Flash. I was very pleasantly surprised by how much I loved About A Boy last season (I shouldn’t have been so surprised. I mean, Jason Katims, creator of Friday Night Lights and Parenthood), so very much looking forward to its return. I’m not sure how it happened, but all of a sudden my Wednesdays became REALLY packed. I was able to kind of manage it last year with some crafty/skillful timeshifting (via multiple outlets), but this year is a whole ‘nother ballgame. Arrow and Survivor are my staples, Stalker has Maggie Q, and after having already watched the pilot of Red Band Society, I feel like I already love it (Octavia Spencer and Dave Annable? Plus a talented younger cast?) So it doesn’t really leave me much time for anything else. The rest might have to be pushed to the weekend. What happened to Must See Thursdays?! This line-up is WEAK. I have nothing at 8 PM, until Big Bang Theory moves over at the end of October. I should be happy that this is manageable but still, this is my schedule until I add in the final season of White Collar and the second half of Covert Affairs season 5 run, which premiere Nov. 6. Then at that time I’ll have more decisions to make because WC and CA are at 9 and 10 P.M. respectively. Last season ABC only renewed two of its freshman series: Nashville and The Neighbors. This season, they did slightly better and renewed three: Marvel’s Agents of S.H.I.E.L.D., Resurrection, and The Goldbergs. The network is obviously hoping for better results next season by picking up a total of 12 shows. 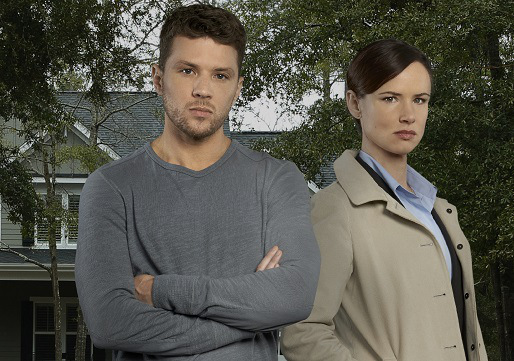 SECRETS AND LIES [Drama – Midseason/TBA]: When Ben Garner (Ryan Phillipe) finds the body of a 4-year old boy, he becomes the prime suspect. Everything is at stake for Ben, as he attempts to clear his name and find out who the real killer is, all while under the watchful eye of Detective Andrea Cornell (Juliette Lewis). I’m not going to lie, I’m getting a little weary of murder mysteries, so my interest in this will really depend on the overall tone and feel of the show. 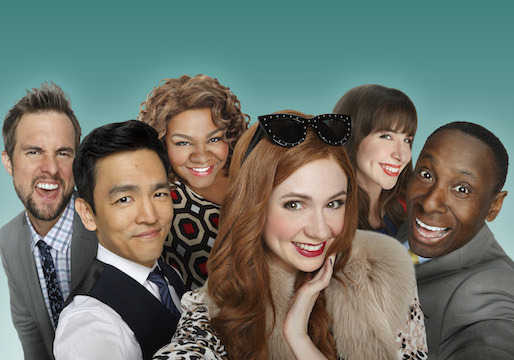 SELFIE [Comedy – Tuesdays @ 8]: Karen Gillan stars Eliza Dooley (inspired by My Fair Lady) as a 20-something who after experiencing a very public and embarrassing break-up, finds herself with more social media followers than she could ever imagine, though not exactly for the right reasons. To help change her image, Eliza enlists the help of a marketing expert. Talk about relevant to today’s society! Between Gillan and John Cho, I’m in; I just hope it’s really funny and that ABC does well by it. HOW TO GET AWAY WITH MURDER [Drama – Thursdays @ 10]: Viola Davis stars in the latest Shonda Rhimes series, playing a law professor, who along with her students get entangled in a murder plot that could change their lives forever. BLACK-ISH [Comedy – Wednesdays @ 9:30]: Anthony Anderson stars in this comedy about an African-American family who wonder if they have assimilated too much into white culture. Finally, ABC gets more diverse with its shows, this being the first of two comedies with a minority cast. I’m hoping for the best on this one and with ABC giving it the plum post-Modern Family timeslot, clearly they are too. Though in recent years, that timeslot has been somewhat cursed, this is the first time they’ve put a family comedy that makes sense to follow MF, as opposed to the younger skewing shows that didn’t work out for the network/schedule (Super Fun Night, Mixology, Don’t Trust the B**ch in Apartment 23, Happy Endings). AMERICAN CRIME [Drama – Midseason/TBA]: A young couple is brutally attacked in their home and though the husband – a war vet – is killed, his wife remains unconscious. The families of the young couple must now wait for a miracle and deal with the aftermath. It’s hard to tell from the description what we can expect from the show. I need to see more before making a firm decision. The network has announced that once Resurrection finishes its run for the season, American Crime will take its place (Sundays @ 9). FOREVER [Drama – Tuesdays @ 10]: Dr. Henry Morgan (Ioan Gruffudd), an NYC medical examiner, has a secret – he’s immortal. He studies the dead not only to solve cases but to find answers to his immortality. It’s an interesting twist to the typical procedural, but is it a big enough hook for me to tune in? Not so sure. GALAVANT [Comedy – Midseason/TBA]: Musical fairytale comedy – what could go wrong? 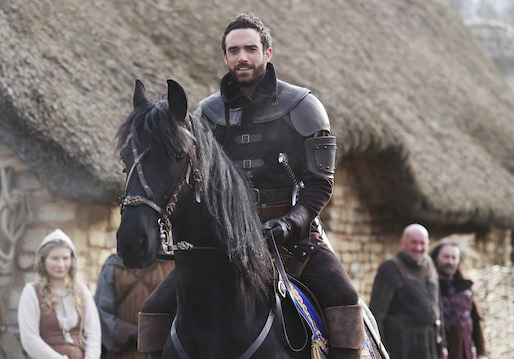 Galavant (Joshua Sasse) lost his one true love to the king and sets out on revenge. So musical fairytale revenge comedy. Forgive me for having doubts to how this could possibly work without looking incredibly cheesy. The show is set to debut in OUAT’s timeslot while OUAT is on winter break. THE WHISPERS [Drama – Midseason/TBA]: Aliens are slowly invading our planet by using our most precious resource against us – our children. The show stars Lily Rabe, Milo Ventimiglia, and Barry Sloane. Aliens can be a difficult topic to deal with based simply on the fact that, there’s so many ways they can do this. With the focus being that the aliens are unseen, I feel like they are being used as merely a device to tell the storyline (at least in the beginning). I’m reserving a wait-and-see attitude with this. FRESH OFF THE BOAT [Comedy – Midseason/TBA]: Set in the 1990s, Eddie is a hip-hop loving 12-year old kid living in suburban Orlando. Culture clash is strong and inevitable for Eddie’s Taiwanese-American family; his father owns an All-American chain steakhouse and is obsessed with all things American, while his mother is perpetually confused by the culture. This could go either way – offensive or painfully funny…I’m really hoping it’s the latter. But hey, at least they won me over with the title alone (it’s an Asian joke). CRISTELA [Comedy – Fridays @ 8:30]: In this semi-autobiographical show, Cristela Alonso is a law student who struggles to balance her career aspirations with the expectations of her Mexican-American family. MANHATTAN LOVE STORY [Comedy – Tuesdays @ 8:30]: A young couple (played by Analeigh Tipton and Jake McDorman) in the early stages of dating, exposes the differences between men and women through their unfiltered thoughts. The bar for rom-com TV is set at The Mindy Project, so in order for this to succeed they have to have sharp funny writing and something that will truly set it apart from other relationship comedies. SHIELD is staying put on Tuesdays, but will now air at 9:00. Smart move from the network to air their new comedies earlier than their NBC/FOX competition. I mean, 6 comedies in the same one hour block was tough on everyone. Thursdays are now owned by Shonda Rhimes, with Grey’s Anatomy shifting to 8:00, Scandal to 9:00, and her new show How to Get Away With Murder at 10:00. My only concern is that Scandal has always seemed to be a 10 PM show, because they could get away with more, so they may have to tone down the crazy just a little bit due to their new timeslot. The Goldbergs are moving to Wednesdays @ 8:30. With Wednesdays being essentially the family comedy night for ABC, this should turn out well for the show. For a complete look at ABC’s fall schedule, plus full descriptions of the new shows, head on over to Entertainment Weekly. On deck for tomorrow: CBS (which is to say don’t expect a lot of changes to the schedule; my guess anyways)! Following NBC’s scheduling announcement on Sunday, FOX has followed suit as planned with their Upfront presentation today. For all the negativity that’s been put upon them by fans for cancelling quite a number of well-liked/well-loved shows, I have learned to not be so harsh on them. Don’t get me wrong, for all the good they’ve done this season by bringing us and renewing Sleepy Hollow and Brooklyn Nine-Nine, they also brought and cancelled Almost Human and Enlisted. Lucky for FOX, I have a tremendous amount of good will towards them for the five seasons of Fringe I got. Point of the matter is, I appreciate that the network actually tries new and different shows; the new season is no exception. 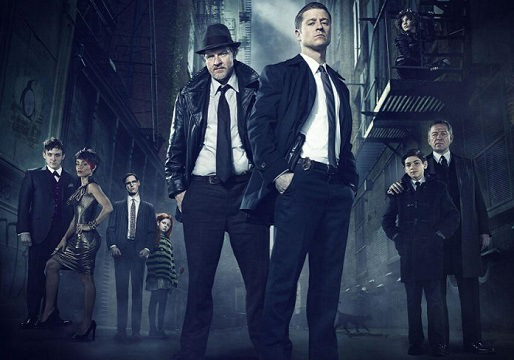 GOTHAM [Drama – Mondays @ 8]: Another network, another DC show. Gotham follows a young Jim Gordon (played by Ben McKenzie), as he and his partner are tasked with solving the murder of Martha and Thomas Wayne. That’s right, it’s a “Batman” show before Bruce Wayne became Batman. It’s an origin story for all the characters we know of Gotham – Gordon, Bruce Wayne, Penguin, Catwoman, the Riddler, Poison Ivy, and who knows who else will show up? It’s almost ridiculous how much I’m looking forward to this. HIEROGLYPH [Drama – Midseason/TBA]: It’s exactly what you think…we’re going back to ancient Egyptian times! A notorious thief is sprung out of prison to serve the pharoah and retrieve a dangerous scroll. Fantasy or shows set in ancient times tend to be hit and miss for me. The show is created and executive produced by Travis Beacham, who wrote the script for last summer’s Pacific Rim, but the selling point for me is actually the fact that Albert Kim (the former co-executive producer and writer extraordinaire of Nikita) is working on the show as well. EMPIRE [Drama – Midseason/TBA]: Terrence Howard and Taraji P. Henson head up this family drama from Lee Daniels and Danny Strong which takes place at a hip-hop empire. Timbaland is also on board as the music supervisor/producer for the show, similar to T. Bone Burnett’s role during the first season of Nashville. 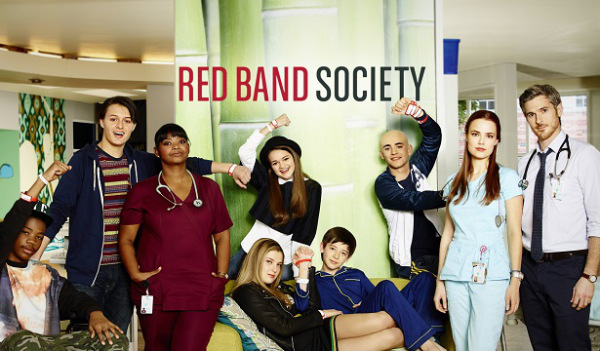 RED BAND SOCIETY [Drama – Wednesdays @ 9]: A group of teenagers meet in the pediatric wing of a hospital and become unlikely friends. The teenagers may be the focus but it’s the adults that are making me interested in the show, with Octavia Spencer and Dave Annable among the medical professionals at the hospital. On a network that does a lot of crazy different things, this show seems almost normal, so it’ll be interesting to see how it does. I’m certainly holding out hope for it. BORDERTOWN [Comedy – Midseason/TBA]: Another animated comedy from the world of Seth Macfarlene, this one revolves around a white border patrol agent and a Mexican immigrant. I honestly have never cared much for the animated comedies on FOX, so this doesn’t do much for me. MULANEY [Comedy – Sundays @ 9:30]: The show centers on a stand-up comedian (John Mulaney) as he works towards taking his career to the next level. There are a lot of comedic talents behind the scenes of the show, which can hopefully mean only good things for it. LAST MAN ON EARTH [Comedy – Midseason/TBA]: Will Forte stars in this show about two strangers who are forced to work together to save the human race. There might be some potential here, but I’ll reserve a wait and see attitude with this one. WEIRD LONERS [Comedy – Midseason/TBA]: Becki Newton and Zachary Knighton (more Happy Endings alums! ; this makes all three of the HE guys having moved on to the same network) star as two of the four titled loners, all relationship-phobic and who now form an unlikely bond. Sure it’s another Friends-like situation but you kind of have to hope for the best, especially for the people involved. Though I’m afraid I already have to worry about the show’s chances seeing as how it’s on the bench for now. Remember The Goodwin Games, also starring Becki Newton? It was essentially cancelled before it even aired, when production was cut from 13 to 7 episodes, and then it got burned off sometime last summer. Not exactly a vote of confidence you guys. The one-two punch of Gotham and Sleepy Hollow on Monday nights is going to be AWESOME! I mean what else can you possibly say about that?! Similar to NBC’s decision to cut down its comedy Thursday, FOX has cut down its Tuesday with New Girl and The Mindy Project staying put in their respective timeslots. Leading off the night is some sort of reality show called Utopia, where 15 contestants move to an undeveloped location for one year and create their own civilization; the show airs Tuesdays @ 8 and Fridays @ 9. FOX’s oh-so-reliable Hell’s Kitchen will move to Wednesdays @ 8. 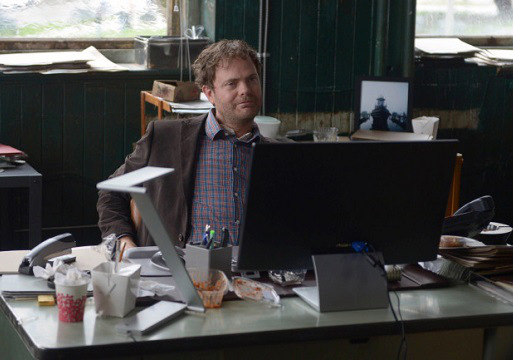 The previously announced Gracepoint, the US adaptation of the UK’s Broadchurch, starring David Tennant and Anna Gunn, will air Thursdays @ 9 after Bones. The network has also decided to sort of get back to its former Sunday comedy roots by airing Brooklyn Nine-Nine (at 8:30) and the aforementioned Mulaney, in-between animated staples The Simpsons and Family Guy. Glee‘s final season is being held off for midseason. It’s tentatively sitting with a full 22-episode order, but there’s a good possibility that it will get reduced. American Idol looks like it’ll finally be reduced to one night a week next season. Details aren’t clear yet, but that’s what you can expect there. Event series Wayward Pines, originally scheduled to air this summer, is now being pushed to next. That’s all from FOX. For a complete description of all the new shows, head on over to Entertainment Weekly.